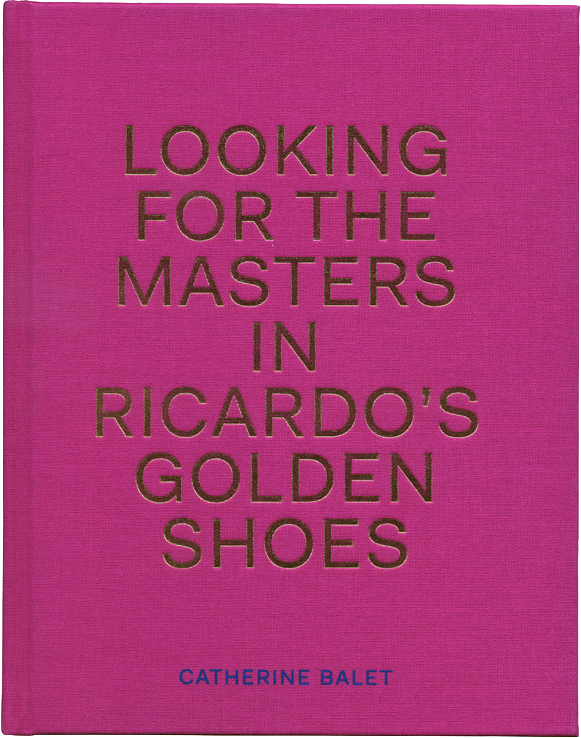 Looking for the Masters in Ricardo’s Golden Shoes is a collaboration between a photographer intrigued by the evolution of photography and her friend Ricardo, who became both her muse and her model. Begun in July 2013 at the Rencontres d’Arles Photography Festival as a joyful celebration of the photographers exhibited that year, it quickly developed into a deeper, more challenging project. Balet became profoundly interested in what it is that gives a photograph its iconic status, particularly in today’s frenetic communications world in which vast flows of images are consumed. Fascinated by the way in which the internet has both decontextualized images and has diminished our ability to pay attention to what we view online, she began to closely investigate the images that have built the foundations of our photographic visual culture. Complicit in the process, and with an extraordinary elegance and naturalness, Ricardo steps into the skin of a woman or a young boy. Together, he and Balet revisit landmark photographs in a way that not only respects the original authors but also searches for the essence of photography. The task is also to translate the beauty of the grain and to discover what is essential in the original print. Through the work Balet questions the dematerialisation of the photograph as well as the nature of authorship in the process of re-creation. She also explores the vast repertoire of advanced image processing technologies in a way that questions the medium itself. Starting with a 1839 self-portrait the series seeks to make sense of the 21st Century’s photographic landscape by both examining its past and by identifying some of the latest photographic trends. Ricardo’s golden shoes walk from one world to another tracing a considered and thoughtful route through 176 years of photographic history to create a subjective overview of an imaginary museum.